Now that the start of our whale watching season is approaching we are starting to see the whales – mainly humpback whales – arriving one by one. Last summer we had an exceptionally good season in whale watching, resulting in seeing whales in all of our tours – that is a 100% success rate! We firmly believe that this coming season we will see as many whales, even more than last season. Our oak boat, Niels Jonsson, close to a humpbpack whale with Hauganes in the far distance. Carbon emissions play an ever-increasing role in environmental issues such as climate change. With our carbon neutral program, a cooperative effort with our local authorities, we neutralize the carbon emissions we create through our special Whale Forest forestry plan. We offset our carbon dioxide emissions by planting one tree for each whale watching tour to sequester the amount of carbon equivalent to our emissions. Also, our oak boats run partially on biodiesel made from recycled cooking oil from restaurants. 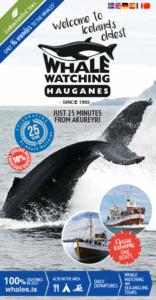 Our guests can therefore be assure that by traveling with Whale Watching Hauganes they minimize their carbon footprint. Good for our guests and of course amazing for the environment! Our carbon neutral program is done in a colaboration with Vistorka in Akureyri. We plant one tree for each tour to compensate for our emissions. Whale Watching + Sea angling or 100% Whales? This season our guests can choose between two variations of our classic whale watching tour. 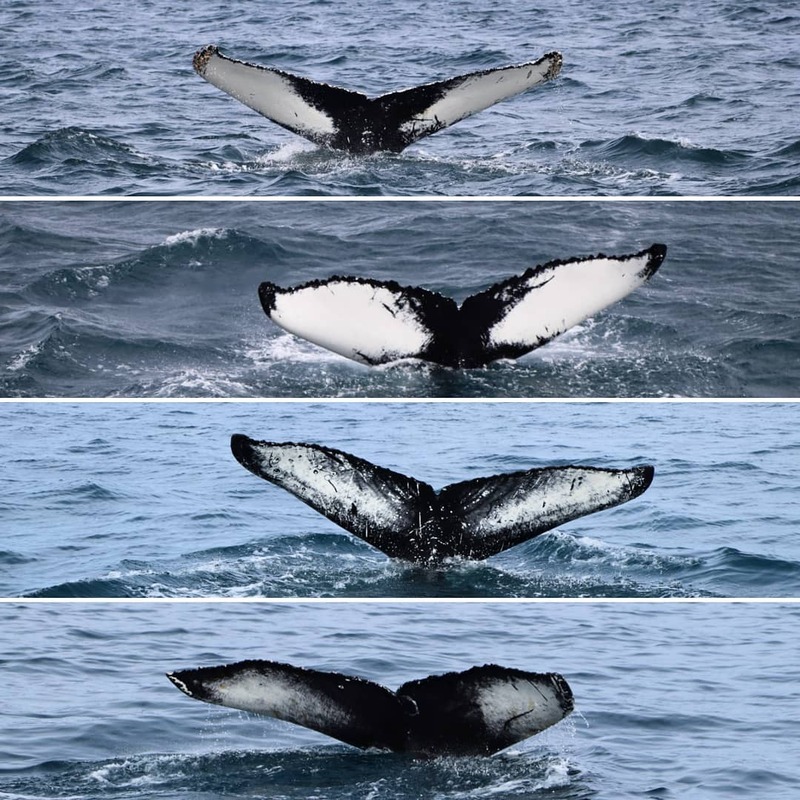 One is the classic tour that we have been running since 1993, is the Whale Watching Tour (incl. sea angling at the end of the tour). The other we choose to call 100% Whale Watching, in which we skip the sea angling for those not interested in that part of our classic tour. The duration of both tours is the same, 2,5 – 3 hours. 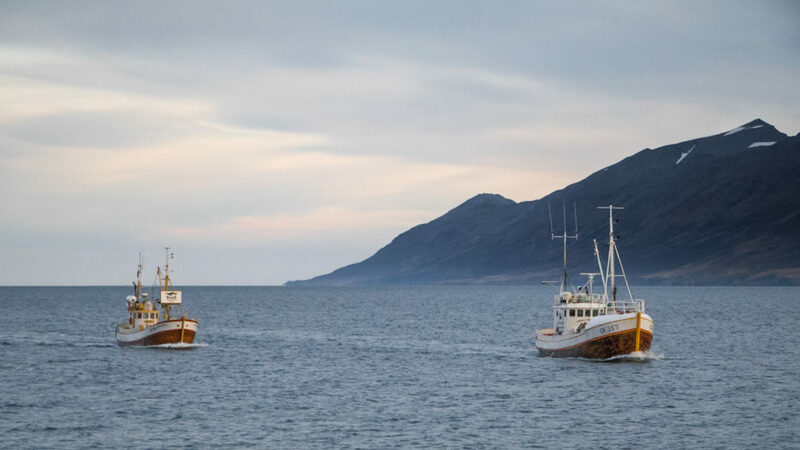 Of course, it is important to have in mind that the fish we catch is caught from a sustainable stock according to Icelandic law and is cut as soon as it has been caught, just as we have been doing for centuries. Cod, haddock or even catfish? Try your luck in our tours. 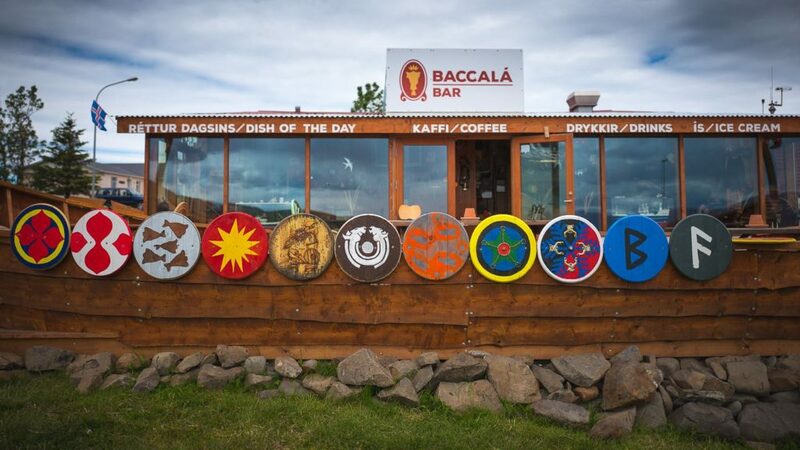 www.ektafiskur.is – In our mind the best restaurant in North Iceland serving delicious bacalao (salted cod) dishes and finger-licking-good Fish & Chips. Elvar Reykjalín, the owner also does tours around his factory for groups informing us how good bacalao is produced and has been since his grandfather started the tradition around the year 1900.
www.bjorbodin.is/english – Fancy lying in a big tub filled with beer, water, hops and yeast? Well, now you can at Bjorbodin beer-spa just 5 minutes north of Hauganes! Skál (cheers)! www.bruggsmidjan.is/en – Join a tour around Brugsmidjan Kaldi brewery, the oldest micro-brewery in Iceland. You will have as much beer as you want in the tour whilst a walk through the brewery, hear the story of this family run business. 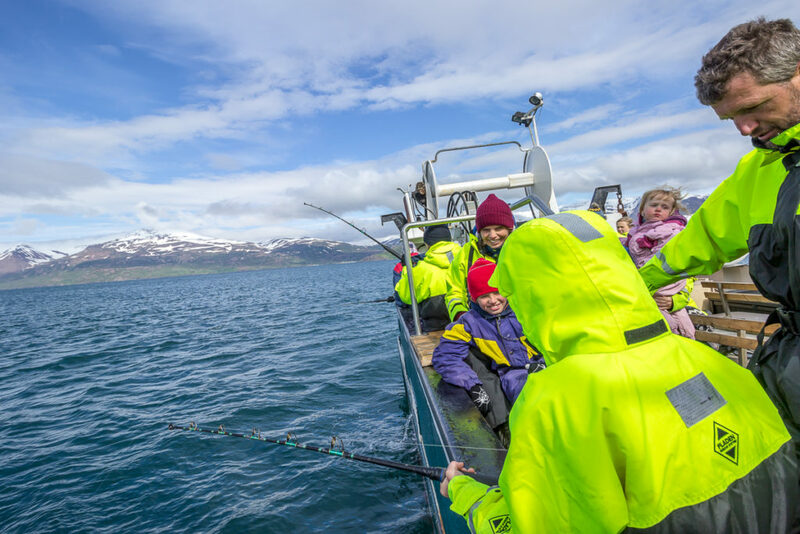 www.northiceland.is/en – Everything you need to know about North Iceland, what to see, what to eat and drink and of course accommodation in the area. Baccalao Bar in Hauganes, where you can taste fantastic fish dishes. We look forward to seeing you this summer! You can book your tour here.